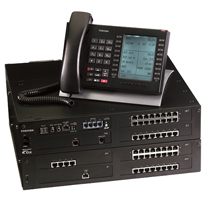 Supports up to 440 trunks or 1,000 telephones and combinations up to 1,152 trunks and telephones. 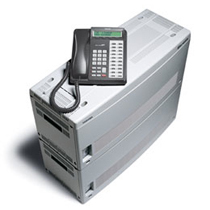 Toshiba’s Strata CIX1200 business communication system is the perfect solution for a headquarters site that is networked to small or remote offices or retail/restaurant locations. It unifies, coordinates, and streamlines all your communications with comprehensive solutions for a full range of telecommunication needs. Add valuable options like Voice Mail/Auto Attendant/Unified Messaging, Automatic Call Distribution, Voice Over Internet Protocol, Strata Net multiple system networking, Call Manager unified communications, and more to improve your business’s productivity and customer service. Supporting up to 1,152 ports, the Strata CIX1200 system is designed for up to 1,000 users and can be networked with other Strata CIX systems, from another CIX1200 down to the CIX40. A total of 128 sites can be networked to accommodate larger capacity or distributed configurations. 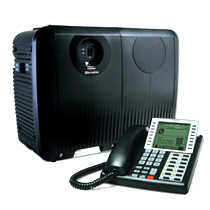 The system integrates voice, data networking, and applications solutions to deliver a superior return on your investment. 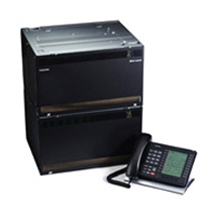 All Toshiba’s Strata CIX systems allow you to build the communication system your business needs now and lets you expand as your needs grow. 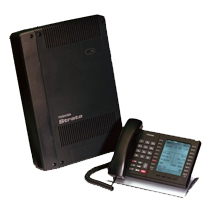 It is the most efficient, easy-to-use, and customizable telecommunication system available today.